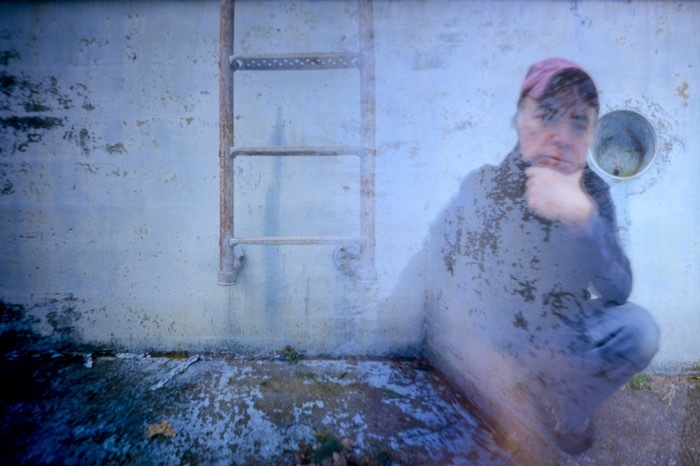 Today’s featured pinhole photo is a ghostly self portrait. Paul Griffin made this image in the bottom of an abandoned swimming pool using his Eight Banners 6×9 loaded with Kodak Portra 160. As indicated by the title, he made this for WWPD. He made this image using what he refers to as “Photoshop in camera”: overlapping the 6×9 exposures as he moves through the 120 roll. This gives him a slight bit of unpredictability while also providing a fair bit of creative choice in which images to use. You can find more of Paul’s work on his Flickr page.